This is a Recipe for preparing at home the famous and traditional Maharashtrian dish Alu Vadis or Aloo Patra. 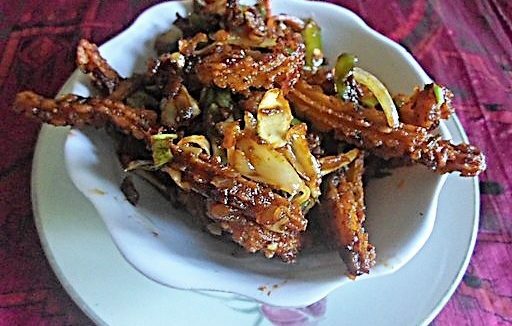 Alu Vadi is a very popular dish in Maharashtra, which is also served during Maharashtrian Weddings. meals for religious occasions and festivals. Given below is a simple and easy to follow step by step recipe to prepare authentic crisp and tasty Maharashtrian Style Aloo Vadi at home. Wash the Alu leaves and keep them aside. Mix the Gram Flour, Ginger, Garlic, Green Chili, Red Chili Powder, Turmeric Powder, Asafoetida, Tamarind, Jaggery Salt and Water and prepare a batter like the one made for Pakoras. Then spread the batter on each backside of the leaf and keep them above each other one by one. Then fold the sides and roll them tightly and keep them in a stain less steel plate. Heat Water in a pressure cooker, keep a small vessel in the pressure cooker and keep the plate containing the rolled Alu Leaves over the vessel and close the pressure cooker. Give 3-4 whistles. Then remove the plate from the pressure cooker and keep for cooling. 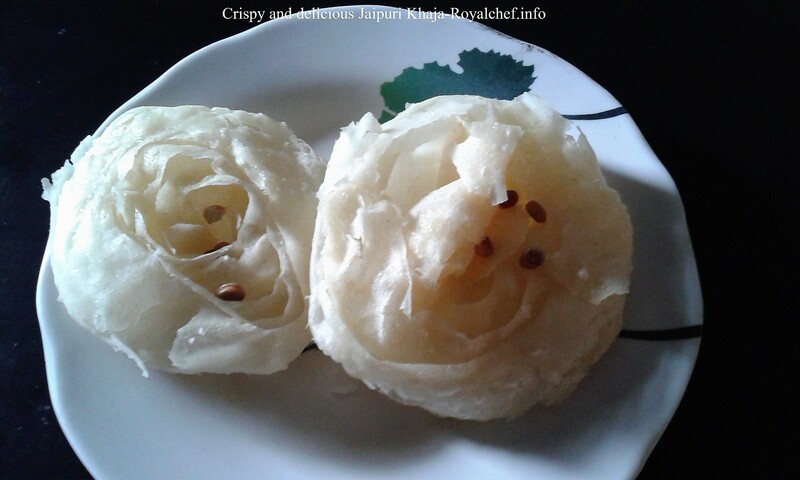 Then cut the rolled Alu Leaves into small round pieces. 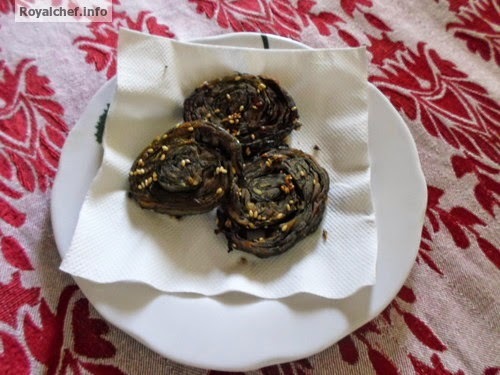 Heat Oil in a frying pan and add Sesame Seeds and the pieces of Alu Vadis. Fry until color change in to the brown.